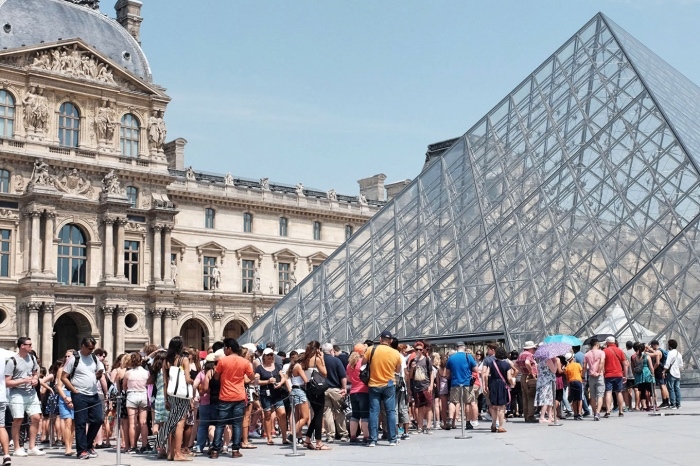 Louvre tickets: To visit the Louvre museum organization is what you need, and if you buy in advance the tickets in order to avoid the endless line at the entrance, your visit will start off on the right foot. I did this way when I visited the museum for the first time, and having a priority access ticket was a big advantage, because it allowed me to have more time to understand how to move inside the rooms and which sections to focus on to avoid losing the most important artworks on display. I wrote a post containing all the things you have to know about the Louvre museum, where I explained that it is a huge museum divided into 7 departments, displaying about 30,000 objects. In this post, instead, you’ll find the information to book your tickets to the Louvre museum. READ ALSO: The Uffizi Gallery, how to book your ticket. 1 – at the museum ticket office, located under the main pyramid, but in this case you have to queue to enter (and you have to be very patient!). 2 – on the Museo del Louvre: E-ticket. This way you’ll skip the line, but be careful: don’t be late, otherwise you’ll have to queue. The advantage of online purchase is that you can enter immediately, at the time you chose when you booked your ticket. At the end of the post you’ll find many links to make your reservation at the best attractions in Paris. 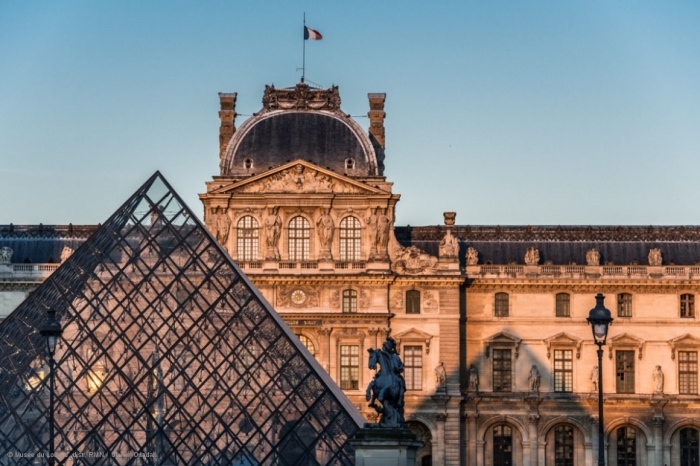 3 – choosing to book a guided tour or to combine a visit to the Louvre with a tour of Paris. I recommend this option because you can choose to visit the Louvre with a guide that will allow you to see the most important works. In addition, the list of available experiences allows you to select a tour suited to your needs, maybe you can decide to book the one suitable for families with children or the path of only two hours, if you have little time, or you can combine the visit of the Louvre and a cruise on the Seine. Full rate ticket is 15€ for the whole day (without reservation). From October to March free admission for all visitors on the first Sunday of each month. The main entrance to the Louvre Museum is at the pyramid but there are other entrances less used. You can go to the commercial area of the Grand Louvre, directly from the subway, through the stop Palais Royal-Musée du Louvre and through the entrance from rue de Rivoli, in front of the Palais Royal. The other entrances less used are that from the quai François Mitterrand, through the Porte des Lions and that from the jardin du Carrousel. Opening times: every day from 9 am to 6 pm. Closed on Tuesdays. On Wednesdays and on Fridays from 9 am to 9.45 pm. READ ALSO: Musée d’Orsay, paintings and tickets.